When flying a drone on a bright, sunny day, navigating with the display on an attached phone or tablet can end up being hard to see clearly. Flyers have resorted to using a sunshade to block out light, but it's a clunky solution that adds heft and lengthens setup time. 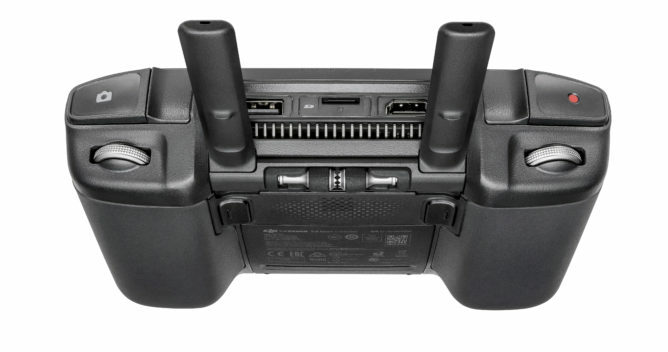 DJI sells high-brightness CrystalSky monitors that can be clipped into a controller for older drones, but with the launch of the Mavic 2 series, that support stopped. We now know why: DJI had something else planned. The Smart Controller aims to replace a regular controller, smartphone/tablet, cable, and sunshade with an integrated solution. The pièce de résistance is the 5.5" 1080p 1000 cd/m² monitor, that promises excellent sunlight visibility. For comparison, the average high-end smartphone has a maximum brightness in the range of 5-600 cd/m² (though it should be noted that while the 1000 cd/m² display on the Smart Controller is bright, the standalone DJI CrystalSky displays have a maximum brightness of 2000 cd/m²). DJI equips the Controller with Android, but it's an older 7.1.2 Nougat release and doesn't seem to have Google Play Services installed (we found this nugget on the FAQ page: You can download third-party apps through the built-in browser or install APK files from a microSD card). It runs a modified version of the DJI Go 4 app, with some additional functionality like the ability to live-stream drone footage over Facebook, Instagram, and WeChat (YouTube's absence is conspicuous here, possibly because it lacks Google Play Services). To store the 1080p video stream from the drone, the controller has 16GB of internal storage along with a microSD card slot. With a full-size HDMI port, USB-A, and USB-C port, DJI hasn't skimped on connectivity. A 5000mAh battery powers the Smart Controller, and it can be quick-charged with any QC 3.0 charger. Priced at $650, shoppers may balk at first glance. However, when you take into account the fact that the old CrystalSky monitor sold in the $500 range, and this device replaces the regular remote that sells separately for around $380 regularly, the pricing makes more sense. 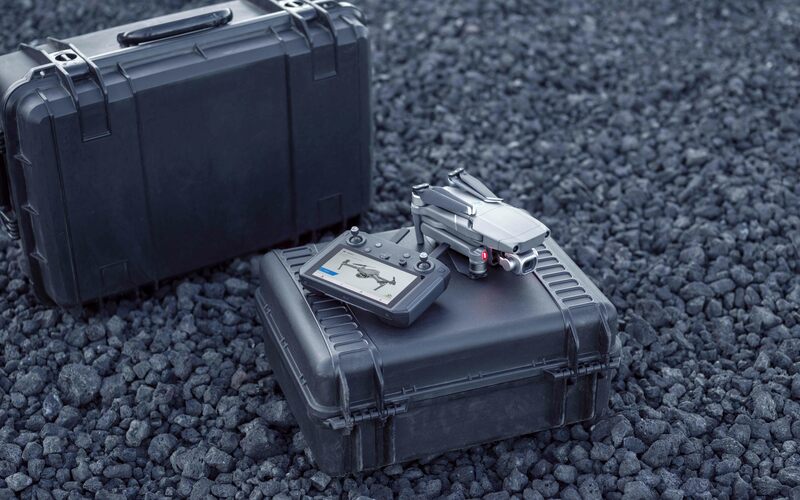 In the future, buyers will be able to choose between the regular and Smart Controller at the time of purchasing a drone, so the premium may be even less. 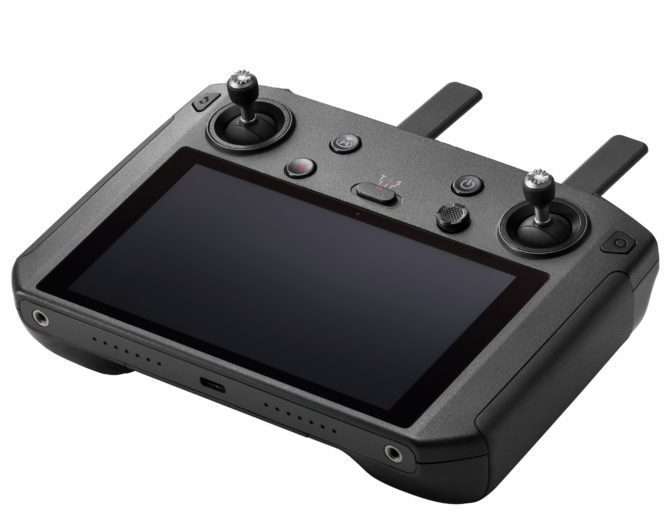 The Smart Controller currently supports the Mavic 2 Pro, Mavic 2 Zoom and Mavic 2 Enterprise drones.